Being told someone else owns your 2-million-view video is a sure way to ruin a YouTuber's day. It can also be a real downer for the company supposedly making the claim. Especially if YouTube's bot scanner is making thousands of these infuriating claims on their behalf, all because of a mistake. Scale Lab, a newcomer among the "multi-channel networks" (or MCNs) broadcasting through YouTube found that out today after a goof-up claimed all of the walk-throughs and other video game videos its partners uploaded were copyrighted material. That meant videos closely matching them were sent notices that suspended their ability to make money off advertising. Though Scale Lab says it has released all claims made on its behalf, it has been a mortifying experience, and for a day exposed the network to the anger and bewilderment that has roiled YouTube's video gaming community since a change in policy last week. "We messed up big time," David Brenner, the CEO of Scale Lab, told Kotaku. "Here's how: While trying to ensure that the members of our MCN were monetizing their channels correctly, one of our employees accidentally 'claimed' all the videos in our network." "Claimed," means, more or less, that their content is entered into YouTube's auto-scanning engine as copyrighted material. Anything matching that—video or audio, even as a fragment—would get flagged as a "content match." While it's not the same thing as a "copyright strike," a much more severe action that can get someone's account banned, it does mean anyone making money from ads on the video sees no advertising money until the claim is dropped or otherwise resolved. In some cases, advertising money is sent directly to the copyright claimant. This became a big issue last week as YouTube adjusted its policies with regards to multi-channel networks like Scale Lab. Content-match scanning has gone on for a long time—it's how YouTube manages millions of videos, some of which generate ad revenue for both the user and YouTube, while making a recognizable effort to not allow copyrighted video or audio owned by someone else into that system. Last week, YouTube apparently rolled out a new policy in which many affiliates of these MCNs—who more or less vouch for all of their channels' content—were no longer automatically shielded from the content ID match scans. Once scanned, many of their videos, some of them years old and gathering millions of views with no problem, got flagged. YouTube's TheRadBrad, an affiliate of Machinima, one of the best known MCNs, was among them. Four months ago he'd posted a video of a walkthrough of Saints Row IV's first mission, gathering 2 million views to date—"10,000 or more views daily," he told Kotaku. Today, it was flagged by YouTube's copyright bots as claimed by Scale Lab. It's a 20-minute video entirely of gameplay and audio from Saints Row 4, with a voice over by TheRadBrad himself. If Saints Row publisher Deep Silver is making no claim to the material, and neither are any of the artists in its soundtrack, what could possibly be infringing? "In the video, a lot is very similar to other videos [of this type] Brenner, Scale Lab's CEO, told Kotaku. "So if anyone makes the mistake of claiming one of those videos as copyrighted, then thousands of people like [TheRadBrad] will get a notice, and they have to take the extra step of disputing the claim." Basically, someone at Brenner's network mistakenly claimed every video uploaded to it as copyrighted material, meaning all of their walkthroughs which looked like someone else's got the other guy's flagged. Brenner's embarrassment was palpable. "We have released all of the claims made on our behalf, so that's been done and resolved," Brenner said, "but it still has been a very big inconvenience to people like [TheRadBrad] and others." Brenner, in a statement to Kotaku offered to reimburse any who lost advertising revenue because of this mistake, which seems to have lasted only for today. Scale Lab has been around only for about three months, Brenner said; it has 300 affiliates, roughly 10 percent of them devoted to gaming content. "We started up with the idea that we are going to do it better; better hands-on service for our affiliates," and no contracts locking them in to two-year commitments, as some channels have complained about their MCNs. "This was a rookie mistake." While Scale Lab owned up to the error and sought to fix it immediately, the episode demonstrates one of the perils of copyright-enforcement-by-bot. Indeed, some other YouTubers have had their work flagged because a song in the video—otherwise licensed to appear in the game and legitimately aired in that context—matched the audio another rights holder had uploaded into YouTube's copyright-o-tron machine. 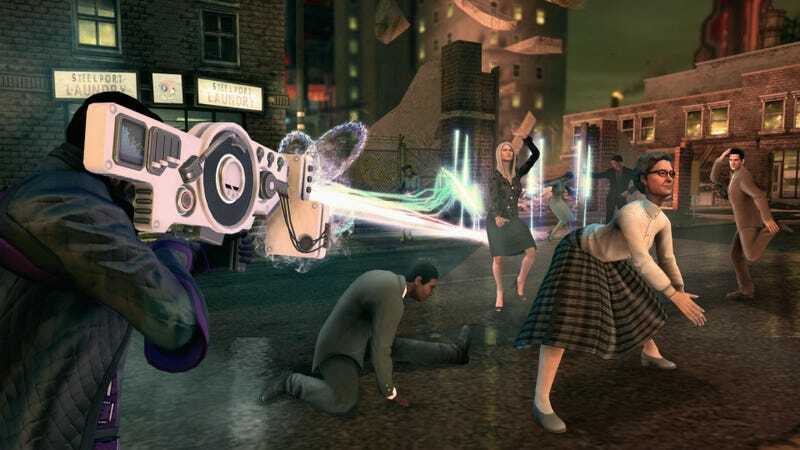 Maurice Tan of Deep Silver, the publisher of Saints Row IV, told Kotaku that in the week since this enforcement became more visible, Deep Silver has seen music companies holding rights to songs in the game's soundtrack releasing claims made on their behalf, "some faster than others." The volume of claims Deep Silver is aware of leads them to believe they're all "most likely automated," Tan said. But those are rights holders to music, not necessarily games publishers nor a multichannel network, and may not be aware of why so many videos are now being flagged as containing their copyrighted work. Though Deep Silver and some other publishers have asked YouTubers to come to them with these problems, so they can help speed the process, it's ultimately up to the rights holder to work through the stack of claims and disputes in its inbox and release those that aren't legitimate. "That may take a while," Tan acknowledged. Brenner says that Scale Lab went to YouTube immediately to have the videos it mistakenly claimed removed from the content ID scanning database. Additionally, Scale Lab was notified of all claims made on its behalf and was able to proactively release them in bulk—so this matter doesn't require a YouTuber caught in the dragnet to file a dispute to get his video free of a Scale Lab claim. Scale Lab does not expect additional erroneous notices to be issued in its name, though if they do arise it will release all of them, Brenner said. "We were totally in the wrong, and we owe each and every one of the channels that we inconvenienced a major apology," Brenner said, mentioning TheRadBrad by name. "Additionally, we request that any channels that lost ad revenue due to our mistake please contact us immediately so that we may reimburse them."